After four fantastic years, The Zetter Group and Bruno Loubet’s celebrated King’s Cross restaurant Grain Store will close its doors on 23rd August 2017. 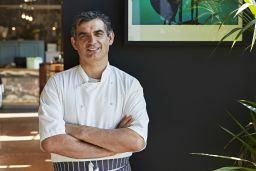 Bruno Loubet is keen to retire from full-time cooking after spending over 40 years at the coal face of some of the world’s best kitchens. He has worked tirelessly and is still, often the first chef in the kitchen preparing for the day, but would like to take a step back. He will however continue with creative consultancies and passion projects and Michael, Mark and Bruno are delighted that the brand will live on at Grain Store Gatwick. This restaurant has changed the face of airport dining and Bruno believes that it will continue to push boundaries and raise the bar with its strong commitment to seasonal cooking and provenance.